Christoph Landis has ascended to the role of SIX Swiss Exchange's Division CEO, succeeding Christian Katz. 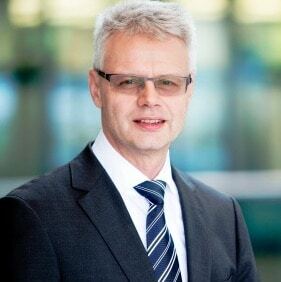 SIX Swiss Exchange has named Christoph Landis as the new Division Chief Executive Officer (CEO), following a selection by the group’s Board of Directors, according to a SIX statement. Mr. Landis will step into his new role immediately, after serving as an executive member of SIX’s Management Committee since 2002, in which it was formally known as SWX. Since then he has been responsible for a number of integral roles including its Operations Unit, its Chief Information Officer, as well as a stint as its Deputy Division CEO in 2012. The stage was initially set for Mr. Landis’ elevation after Christian Katz, the group’s acting Division CEO of Swiss Exchange, opted to part ways with SIX following a mounting divergence in the strategic direction of the organization. For the past six months, Mr. Landis has been heading SIX Swiss Exchange on an interim basis when he assumed the position back on May 2015. His latest elevation caps off a successful career with SIX that has stretched all the way back to 1992. The announcement is SIX’s second move in as many months, after last month’s appointment of Frédéric Messein as its Head of SIX Corporate Bonds. Mr. Messein has since been tasked with overseeing the launch of the group’s new credit trading platform, having landed at SIX from Thomson Reuters, where he worked as its Global Head of Fixed Income & Foreign Exchange (FX) Product Management and Content Strategy. “In addition, he has already demonstrated on many occasions that he fits into the Group Executive Board extremely well. I very much look forward to a successful working relationship,” he added.